In the average organization, IT admins believe their company uses around 50 cloud services; in reality, it’s closer to 1,000 (Cisco). It’s not a surprise, then, that the web application single sign-on (SSO) market is a highly competitive, active market. From afar, it is interesting to see the various players, including OneLogin and Okta, battling it out in the first generation IDaaS (Identity-as-a-Service) market. 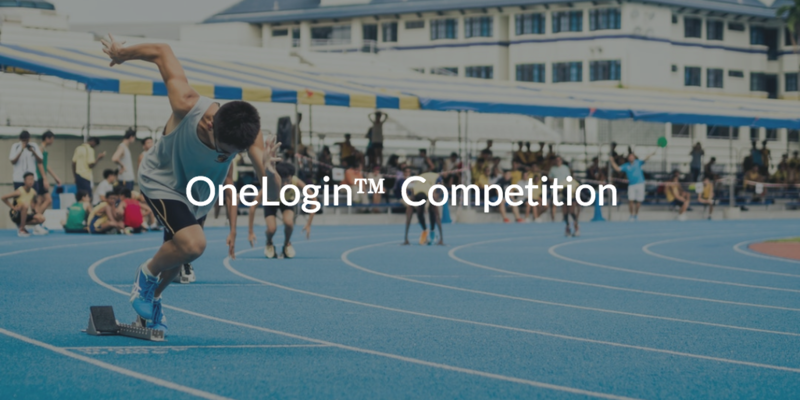 But these days, OneLogin competition isn’t just limited to Okta, and now includes Google, AWS®, Microsoft®, and many others. As you can see, the identity management market has recently started to heat up. Since there’s a good chance that about 1,000 cloud services are not under IT’s control in the average IT environment, the most active and critical category in the space has been web application SSO. Okta and OneLogin may have pioneered this cloud driven web app SSO approach, but the competition has been fierce with major giants coming into the market. Why are the major tech giants joining an already crowded market? The reason is that these major companies want to own an organization’s identities and leverage that to lock in customers to their platform. For example, take Google Cloud Identity. With this IDaaS platform, Google wants you to leverage it so that you have an easier time controlling access to G Suite™, Google Cloud Platform™, and a few, select web applications. In another instance, Microsoft® would have you use the Azure® Active Directory® web SSO features to lock you in to Office 365. With AWS, they would have you leverage their credentials to access other web applications. Their goal isn’t to necessarily provide you with open platforms and broad choice, but rather to use SSO features as a reason to have your core identities within their platform. OneLogin competition involves all of these organizations, and that is a tough fight for them. But, all of this competition makes it difficult for IT organizations to figure out which solution is a good fit for their IT environment. Is there one that rules them all? What does an organization need to consider when choosing an IDaaS solution? We think the right solution should have certain qualities. Since web applications will continue to rise in use, some sort of web app SSO capabilities are important for the solution to have. But, that shouldn’t be the only IT resource it offers user management for. After all, what about controlling access to Mac and Linux systems, on-prem applications, Samba files servers and NAS appliances, AWS cloud infrastructure, and WiFi networks? What about the possibility of eliminating Active Directory and completely shifting to a cloud directory platform? These considerations aren’t about the competition OneLogin is facing, but rather require a solution that solves the real identity management problem within an organization. An organization’s real problem has to do with the legacy directory service that sits in most organizations, Active Directory. Almost all web app SSO providers connect to AD and extend it, but none of them can replace it because they’re just not comprehensive enough to connect to all of the IT resources leveraged by end users. Why should IT organizations consider replacing AD as part of addressing the problem? Well, because Active Directory was built for on-prem, Microsoft-centric environments. On it’s own, AD has a difficult time connecting to modern IT resources like web-based apps and Mac systems, which are the kinds of resources many modern organizations prefer to leverage. IT organizations can integrate AD with a bunch of identity management tools like web app SSO and identity bridges, but then identity management becomes costly and cumbersome. Clearly, Active Directory and the OneLogin competition are both struggling to solve today’s identity management problems. As a result, many IT admins are shifting to a modern cloud directory service. This modern cloud directory service is called JumpCloud® Directory-as-a-Service®. It not only offers web app SSO, but also securely manages and connects users to virtually all of the IT resources they need including systems, on-prem applications, files, and networks regardless of platform, provider, protocol, and location. 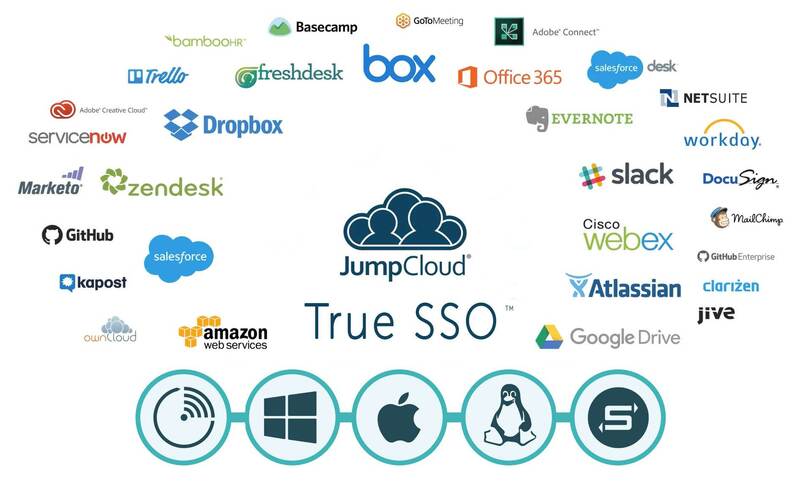 In other words, JumpCloud is delivering True Single Sign-On™. What does True Single Sign-On mean for you? 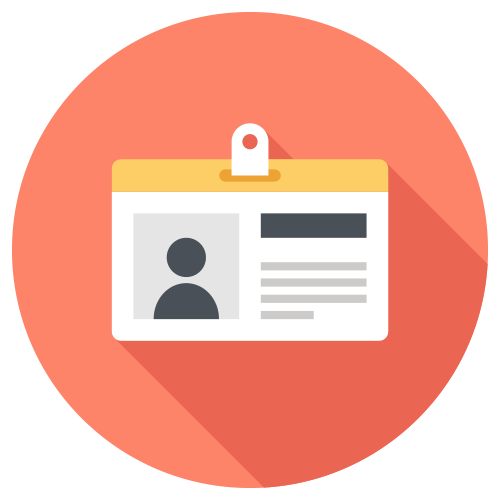 It means you can bring all of your IT resources and all of your user identities together. From one web-based console, you’ll be able to manage Mac, Linux, and Windows systems, cloud and local servers, web-based and on-prem applications, wireless and wired networks, and virtual and physical file storage. JumpCloud is completely cloud-based, so you can also eliminate all of your on-prem identity provider hardware and software. Additionally, life gets easier for your end users because they only need to remember one set of credentials to access all of their IT resources. So, now you have to ask yourself: Do you want a bunch of partial solutions that really just want you to leverage their ecosystem of products, or do you want a solution that adapts to your environment and let’s you use whatever IT resources work best for you? For more information about the OneLogin competition, consider watching the video above. In it, our Chief Product Officer Greg Keller explains how the IAM space got to where it is today, and how JumpCloud differs from most players in the market. 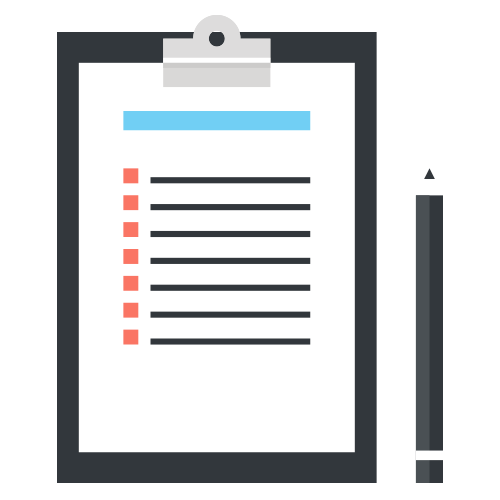 If you’re ready to do some testing, sign up for a free account. The entire cloud-based directory service is available and your first ten users are free forever. More interested in talking to a person? Drop us a note. We’ll happily answer any questions you might have.